All our product designs follow best-practice engineering principles and are covered by a full set of design calculations. These are signed off by an independent structural engineer. This gives our clients full confidence that our products are fit for their flood defence purpose. 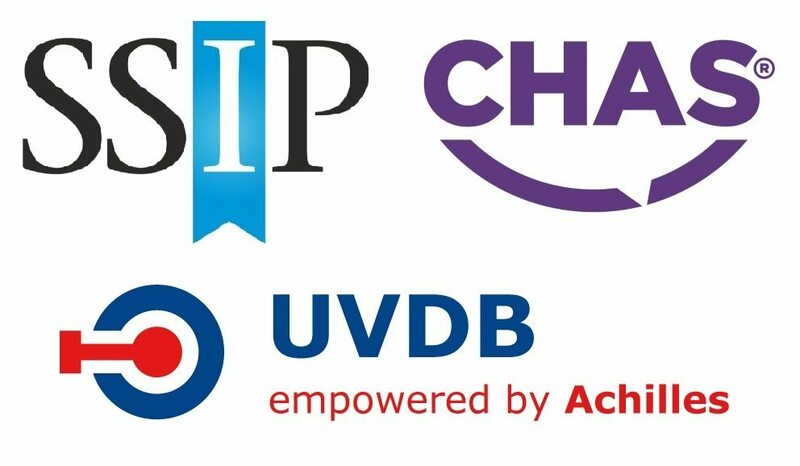 We only source the highest quality materials from UK manufacturers. This enables us to build strong supplier relationships and provide our customers with competitive rate products with remarkable quality. 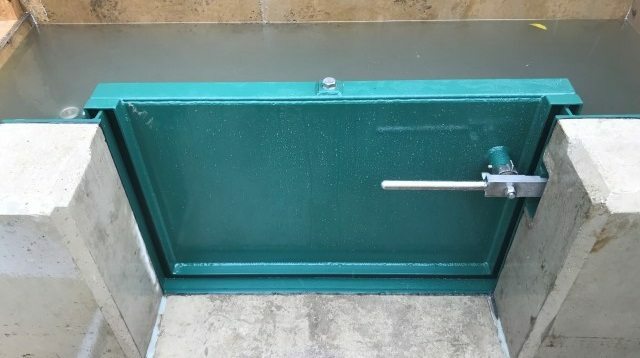 A heavy-duty flood door leaf incorporates a closed cell EPDM seal. Our engineers modify the Surelock-McGill security locking shoot system, upgrading it to withstand greater design loads imposed by a head of water. 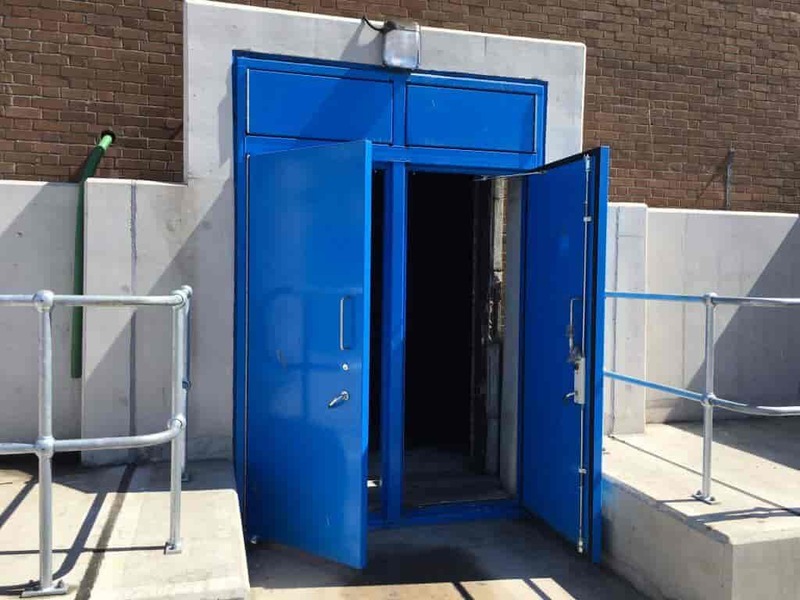 Our flood defence doors are designed to a client’s needs and specifications. We can incorporate a variety of design features. These includes vision panels and double-leaf doors with or without a fixed centre-post. 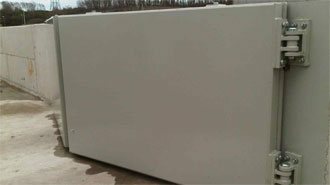 All can be offered in mild-steel with a marine spec epoxy coating or powder coat finishes. We also offer them in 304 or 316 grade stainless steel for installation in particularly corrosive environments. 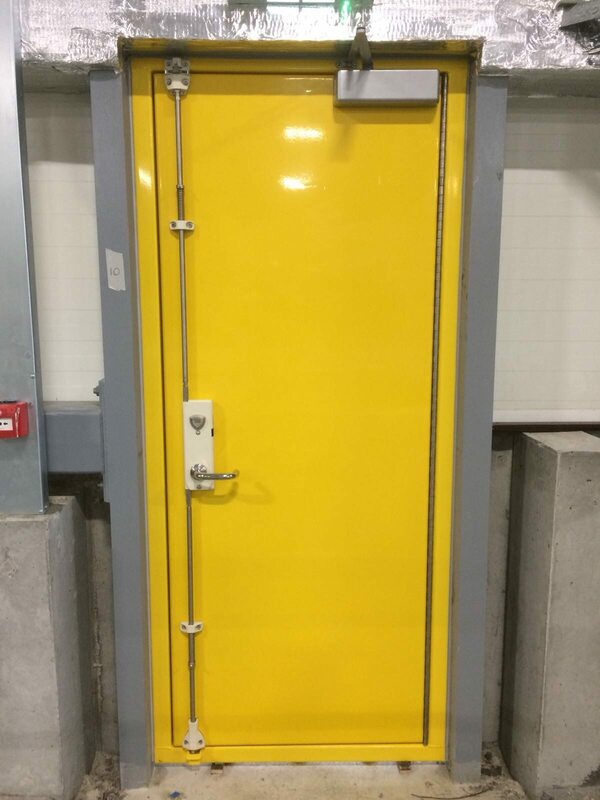 The majority of our flood defence doors are supplied and installed in the utility sector. This includes substations and water utility sites where the need to protect their operating equipment is critical. Our install engineers have extensive experience working on these high-risk assets. They also hold required authorisations which allow them to work on these critical sites. Certain sites contain sensitive assets that require additional protection. Safety critical sites that might be targeted by criminals or terrorists also require a secure flood defence. 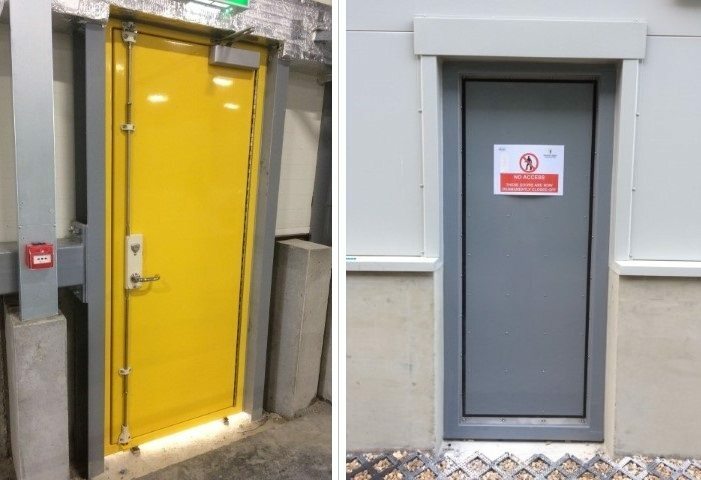 MME have designed a range a security flood doors that provide the highest protection against unwanted entry without compromising on flood defence. Technical specifications of our flood product range and further details are available on request. 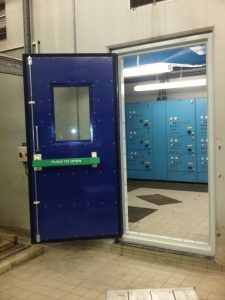 We are experts at delivering flood doors of exceptional quality. 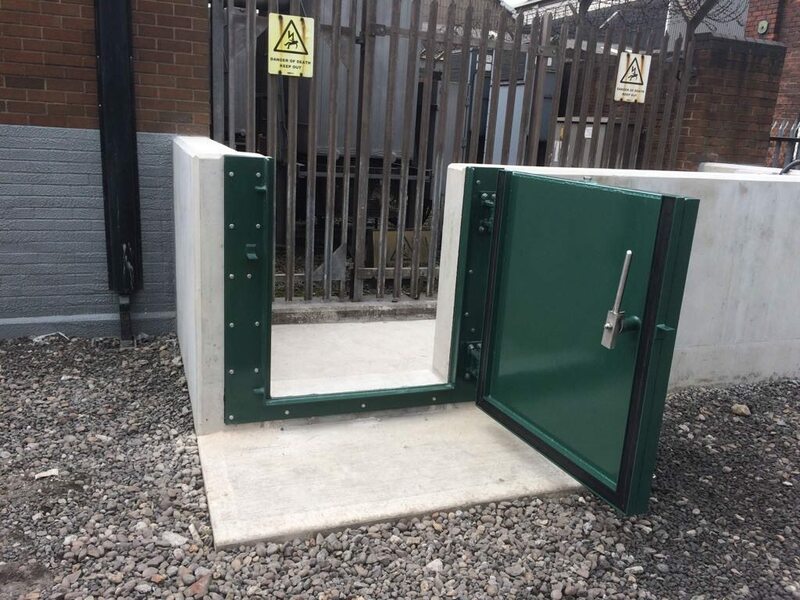 Contact us today to find out how we can design and deliver flood doors for your flood defence project.